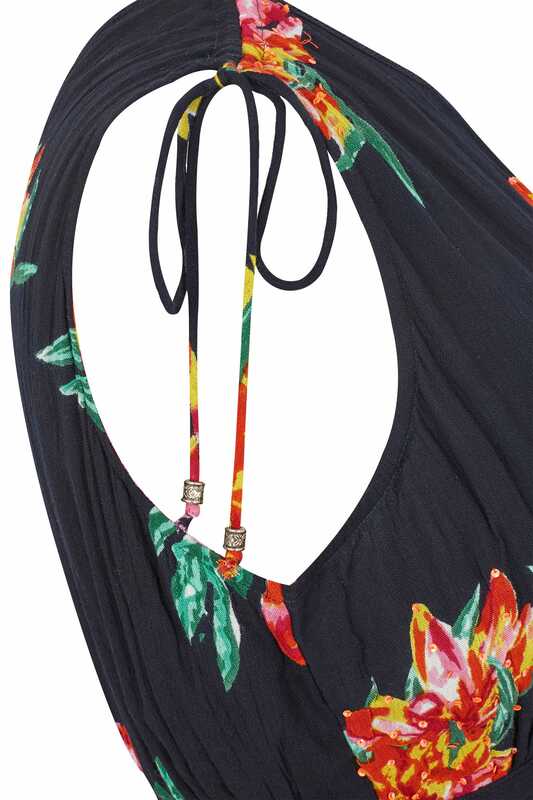 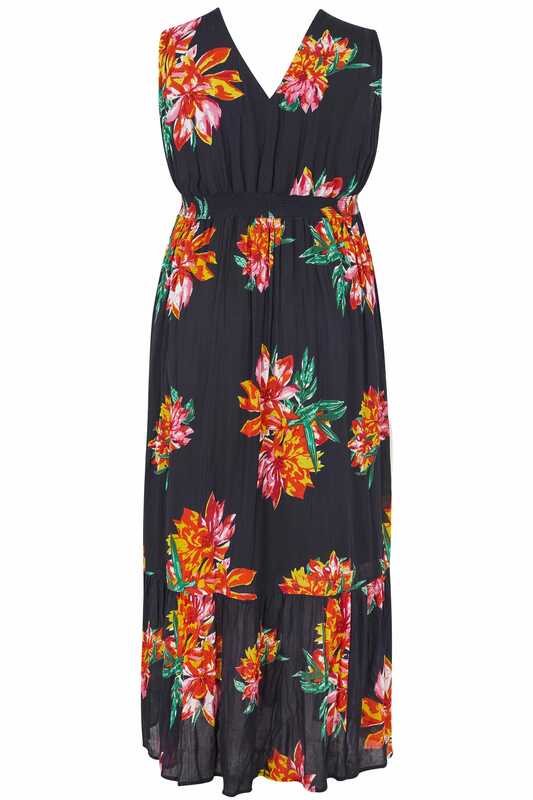 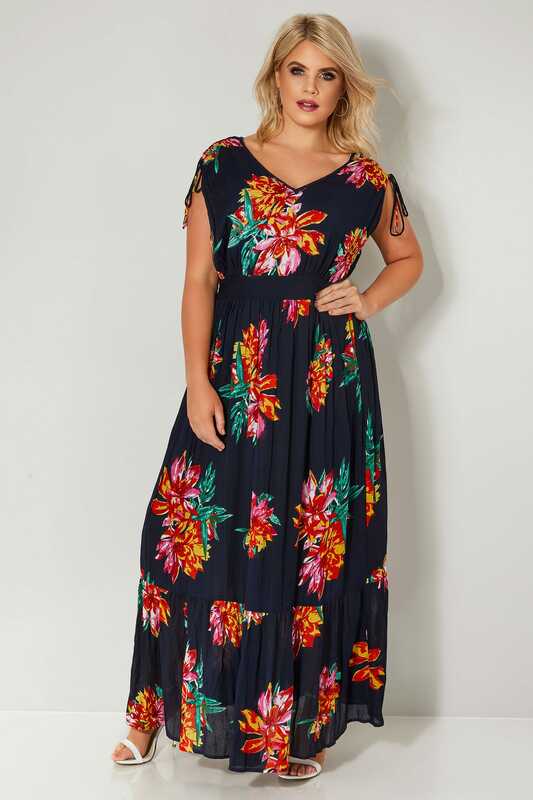 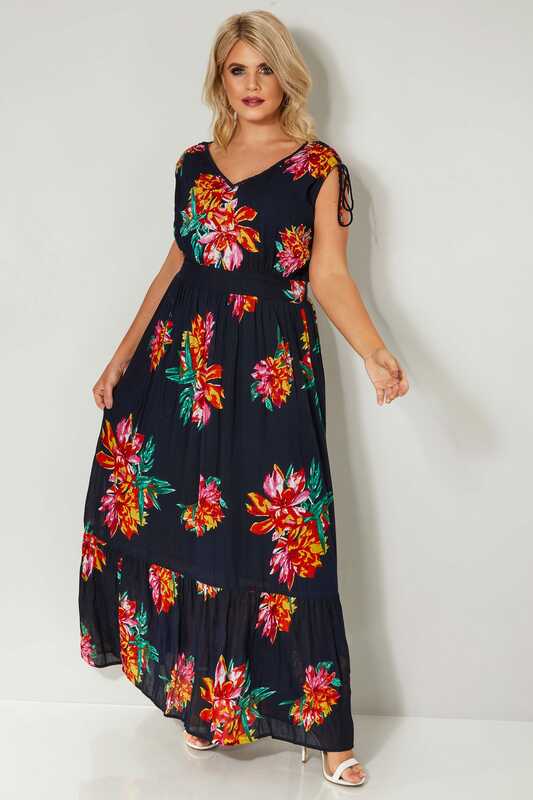 Add a dose of colour to your wardrobe with this elegant maxi dress. 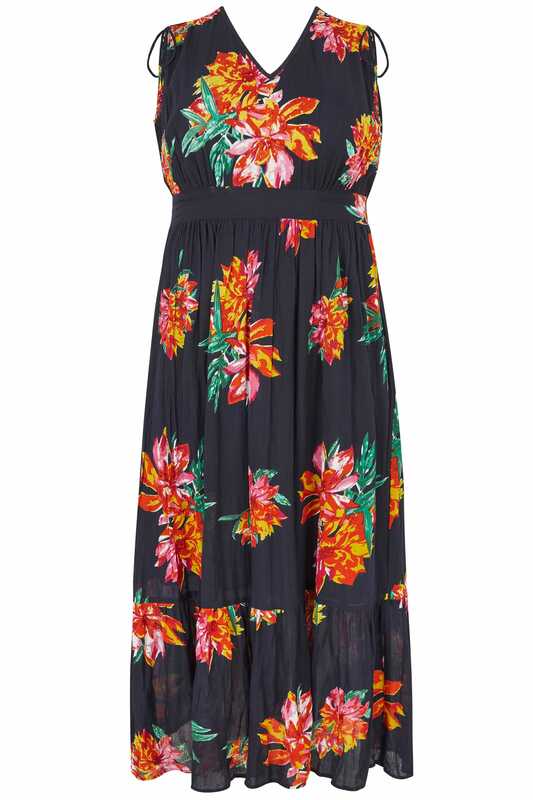 Featuring a v-neckline with a crochet lace trim, it features tie fastenings at the sleeves and an elasticated waist for a comfortable fit. 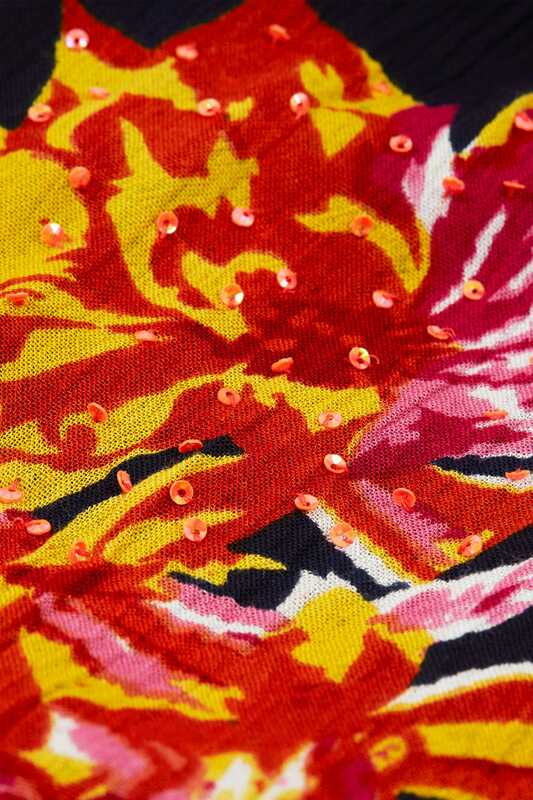 We love the bold floral print and sparkling sequin embellishments.